At the martial settlement stage, clients expect that discovery is finished and all there is left to do and know about a case is what ‘strategy’ to employ in settlement negotiations or trial. Yet commonly the retirement assets, often the largest assets of the marriage, are insufficiently researched before commencement of negotiations and/or trial. It is common the marital settlement agreement simply states “community interest in retirement account ABC to be divided by QDRO” and the details of division are assumed or not discussed prior to entry of final judgment. 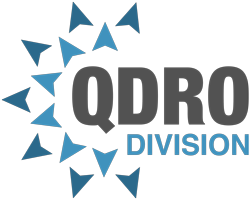 Too often, the first contact with a retirement benefits expert/QDRO attorney occurs long after the final dissolution of marriage judgment is entered and the ‘real details of division’ are unexpected. This practice of leaving the division details until after judgment is entered is damaging from a financial planning perspective, in particular for Non-qualified plans. An out spouse may have made plans with certain expectations regarding timing of payments…only to find out that funds will not be disbursed for years…or ever under certain hypothetical scenarios. Non-qualified retirement accounts in the context this author is referring are those accounts that fall under Internal Revenue Code section 409A. Section 409A applies to compensation that workers earn in one year, but that is paid in a future year. While seemingly a simple concept-these accounts are anything but simple. The goal behind these accounts is to allow an employee deferral of taxes above the maximum tax deferral limits that ‘standard’ ERISA retirement accounts permit. Non-qualified accounts are often formed to attract executive level employees with large salary and benefit packages. Since the design of these accounts is to ‘get around the normal rules’ regarding maximum tax deferral caps-the rules governing non-qualified plans are both creative and complex. Due to constantly evolving tax laws and financial strategies for deferring income, plan rules vary widely from company to company. Due to different ‘grandfathering-in’ rules which may apply to one employee but not another-the same company plan might have different rules that apply to different employees. Without the involvement of a benefits expert, it would be challenging for any party/family law attorney to know which rules apply to their particular case. To maintain its tax deferred nature, 409A plans commonly require they be ‘unsecured/unfunded’, meaning no separate retirement trust is formed to earmark the accrued benefit. This means if the company goes bankrupt, the employee (and the out spouse) becomes an ‘unsecured general creditor’ in a bankruptcy proceeding-a position perhaps not anticipated/understood during negotiation stage of the dissolution process. Many non-qualified plans do not allow for division until after termination of employment and many do not allow for division at all-leaving the out spouse left to enforce his/her rights under the dissolution judgment against the employee spouse directly. As non-qualified plans are not governed by ERISA-they do not follow the same QDRO enforcement rules and so many non-qualified plans simply disregard state court orders as ‘lacking jurisdiction’. Often, former spouses are not recognized the same as spouses and death can cause a total divestment to an out spouse. The plan’s recognition of beneficiary/survivor rights depends entirely on the rules of the plan documents. If these plan documents are not investigated before entry of final judgment, life insurance or other safeguards will likely be overlooked during the negotiation process. The importance of understanding the rules affecting the division of retirement accounts, in particular non-qualified plans, is critical and should be discussed early in the dissolution process with a retirement benefits expert/QDRO attorney.